i heart MAC. the question is, who doesn't? 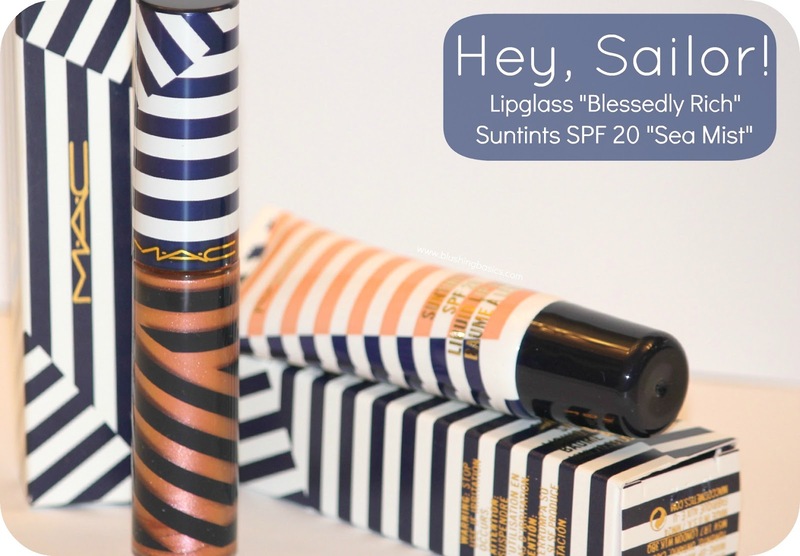 with richly pigmented colors, smooth formulations and trendy, hip packaging the products are practically perfect in every way (much like Mary Poppins). 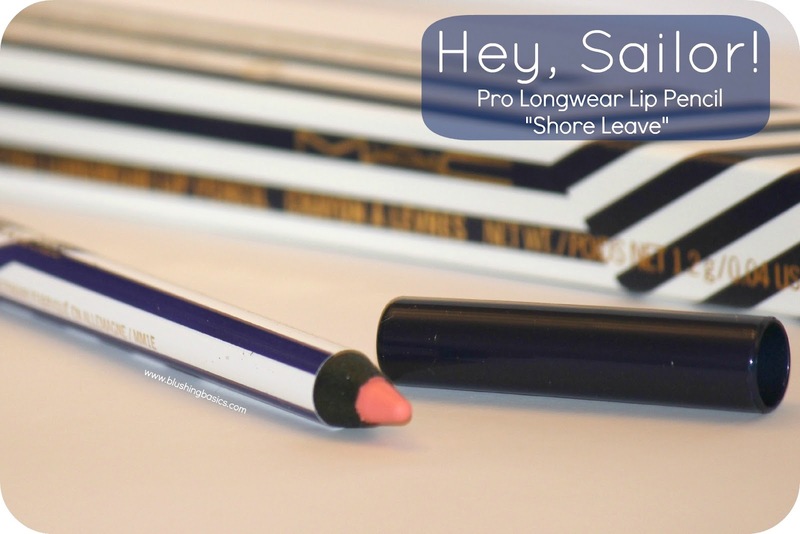 this summer's line of Hey, Sailor! products are bronzed to perfection with colors that will leave you glowing. how lucky do i feel being able to preview this line and review it for you?! let's just say there were a few squeals, jumps and fist pumps involved. the lipliner Shore Leave has just enough of the coral/babypink/bubblegum color to make your lips look kissably adorable. my favorite thing about summer is wearing this lip color and this trend can be seen on celebrities everywhere. don't believe me? just check out your weekly People mag filled to the brim with cute coral pink lips. the lipglass and suntints are gorge. the full golden tones to the Blessed Rich lipglass will complement a bronzed face well and the Sea Mist suntint ensures your lips stay protected and glossed at the same time. 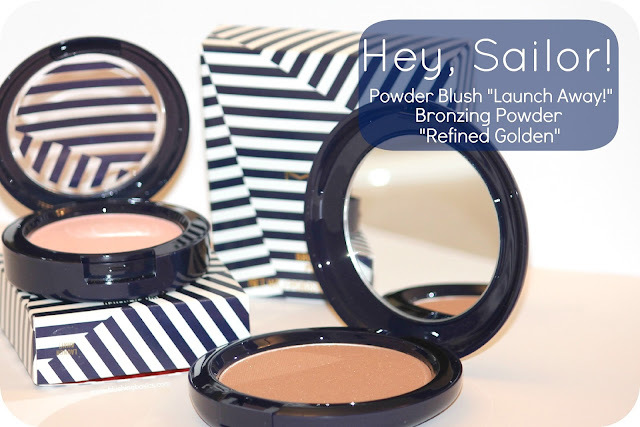 the powder blush and bronzing powder are among my favorites for the summer changes. the bronzing powder Refined Golden is not too orange (a common problem i find in bronzers) and has the slightest hint of a shimmer. the powder blush Launch Away! is a subtle soft blush for summer helping to enhance your natural color. products will be released this weekend and i suggest you be the first in line to pick up your favorites, because believe me, they go fast. ps. this week is the FINAL challenge for the Allure BBA http://blogger-awards.allure.com/ Please Please Please take a minute to Vote, Like & Tweet. Hi....! Really love this product.I like it so much. This blog is great source of information which is very useful for me. Thank you very much. They look and sound absolutely amazing! I'm dying to try that lipstick! I am voting for you!